in a refined and cosy atmosphere. 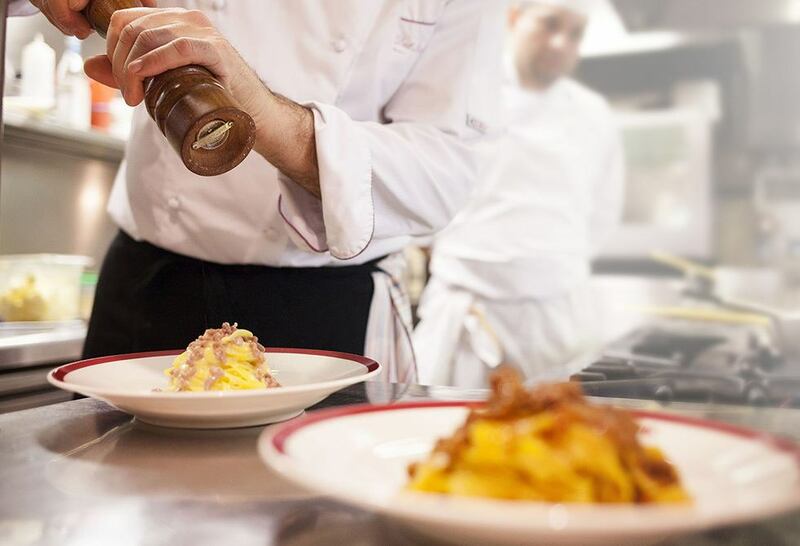 Dal Bolognese opens its doors in Milan in 2005, bringing with it the cuisine, the atmosphere and the tradition of the over 50 years of history of the Roman restaurant in piazza del Popolo. The key word is Tradition. The Menu proposes family recipes of the most representative dishes belonging to the Emilian cuisine, including the rare and beloved boiled meat. A short walk from the Duomo in Milan you will find Palazzo Recalcati and its magnificent courtyard, housing the restaurant and its outdoor area, offering an elegant tranquillity to our guests. We like the idea of bringing a traditional cuisine proposal to the centre of Milan, in a refined and cosy environment: homemade fresh pasta, selected meats and sausages are the main actors in a Menu dedicated to the Emilian cuisine. From Rome to Milan... and beyond. Dal Bolognese was born in Rome in 1960 and, after 50 solid years of experience in piazza del Popolo, it opened its doors in Milan 2005. Nothing has changed since then: you will be welcomed in a refined and cosy atmosphere in via Amedei 8. Here, you will be able to taste our traditional Emilian cuisine.